Here’s how to fix Cydia Could not open file /var/lib/dpkg/status – open (2: No such file or directory) iOS 10 error after jailbreak. As things stand right now, the latest iOS 10.1.1 jailbreak tool is in a beta state for now, so for obvious reasons, post-jailbreak experience for quite a few users hasn’t exactly been a smooth one. 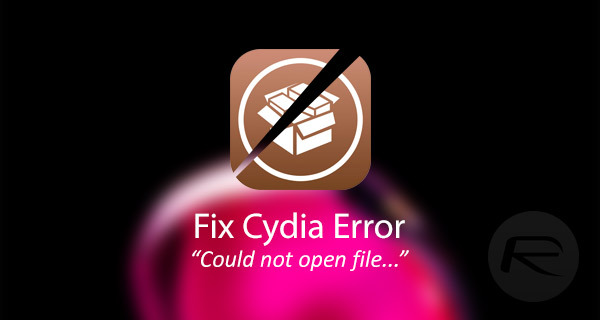 Cydia, unfortunately, is right at the helm of things with the latest issue being the error mentioned earlier. Luckily, the fix for this issue is an extremely easy one, but it does require a little bit of technical knowledge and familiarity with using Terminal commands, but it definitely gets the job done. What makes this fix relatively easier and quick, compared to a host of other issues that early jailbreak tools drag along with them, is that it can be performed on a variety of computer platforms; Linux, Windows, and Mac. So if you were wondering that you’d have to haul your jailbroken iPhone or iPad to a friends place, that is not the case. Before we get started with the fix, take a good look at the error in the image below, and proceed only if what you face mirrors what you see below. Good luck! Step 1: First and foremost, you’re going to need to have the necessary tools and components at your disposal to put this fix in place. The first of which is the iFunBox utility for your computer that lets you view and investigate the iOS file system from your machine. Download that from i-funbox.com if you haven’t already. Step 2: Next, you’re going to need to download the “Cydia Fix” files that includes the necessary files to eradicate this issue. You can grab that package from here. 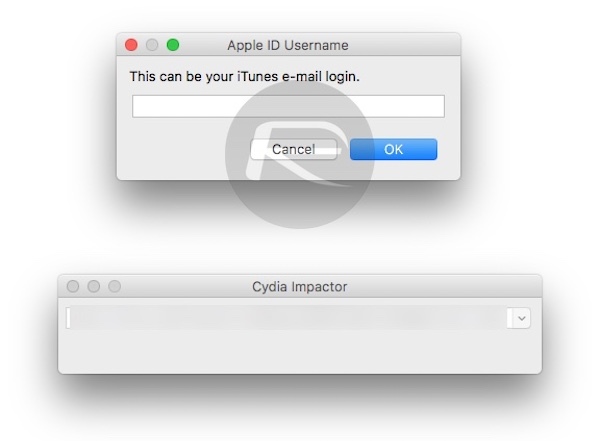 Step 3: You will also need the Cydia Impactor tool. If you regularly follow our guides then you will likely already know what this is. If you don’t have it already, you can grab the latest version from cydiaimpactor.com for your platform. Step 4: Now that you are armed with all of the necessary tools, let’s jump in. Connect your jailbroken device to your computer via USB and launch iFunBox. Find the File Browser functionality and navigate to the iBooks heading. Step 5: Here you will need to extract the files from the previously download Cydia Fix compressed file. This should provide you with a folder titled “lib“, and an IPA file. Step 6: Drag the entire “lib” folder across to the iBooks directory in iFunBox and drop it there. 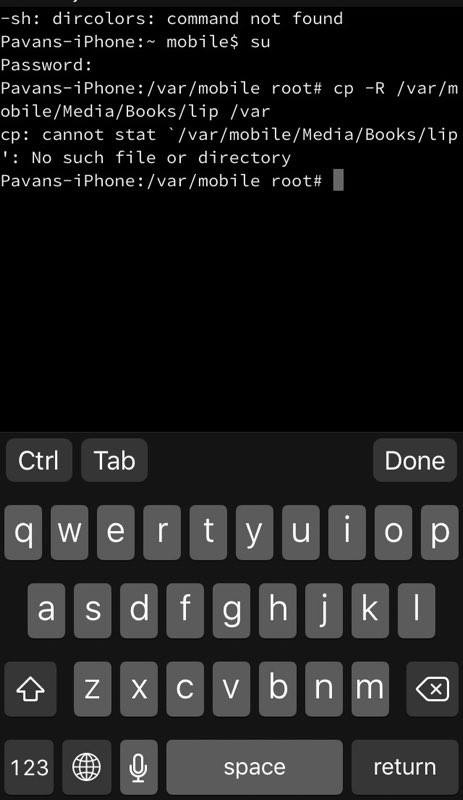 Step 7: Next, launch Cydia Impactor and drag the MobileTerminal.ipa file into the interface with your device connected to the computer. Cydia Impactor will ask for your Apple ID and password in order to generate necessary certificates for installing the MobileTerminal IPA file. Provide the required details and let Impactor install the file. 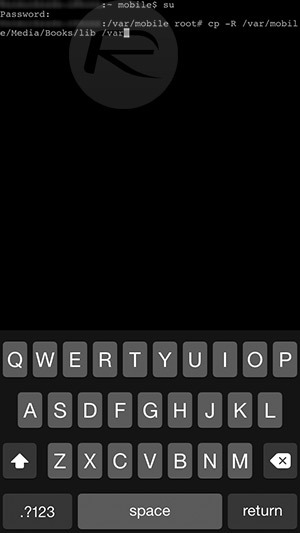 Step 8: Once finished, the Mobile Terminal app will be present on your device. Launch Settings and then navigate to General > Device Management. Select your own Apple ID and then hit Trust and Trust again on the certificate. We are basically ensuring that iOS allows that Mobile Terminal app to launch by trusting its certification. Step 10: Reboot the device. Step 11: Put the device back into jailbreak mode and launch Cydia. If you followed the above instructions properly, Cydia will start functioning normally with “Could not open file /var/lib/dpkg/status – open (2: No such file or directory)” error no longer getting in the way. Now I have “trying to overwrite /library/mobilesubstrate/dynamiclibraries” error and I can’t download any tweak. Have you fixed the problem yet? Has anyone on ios10 fixed their problem yet? Million dollar tutorial.. It worked for me after trying to fix it from last 2 weeks!! Highly appreciated.. Thanks remondpie, at last this website rescue me from every jail reaking issue. my problem started when I reset my iphone, I had cydia working before and all, but when I reset my iphone and I tried to install again “yalu” cydia didn’t works or well the message appeared on the screen “no such file”, I followed all of these steps in this web and I got the same message that you, but my difference was that I had installed “terminal” in the past and it was working for the jailbreak so I did the steps and cydia works again, so I had good luck, my suggestion is you can shearch how to install “terminal” without cydia and after do the steps and cydia will works. iphone 4s. 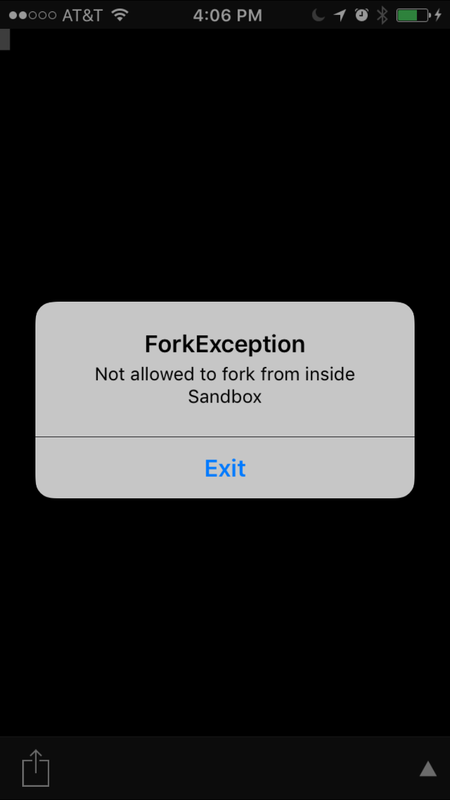 Terminal says “not allowed to fork from inside sandbox” is this because my ios is 9.3.5 ? Hi, thanks for that,I finaly managed to uninstall Cydia in safe mode, and reinstalled it with Phoenix. Hi, Phoenix, Tutu, & Spotify have stopped verifing, worked fine yesterday. any idea what may have happened? Hi, Thanks agian NMK, I found last week when I install Phoenix using impactor my wifi stops working or grays out,so I had to install Phoenix using the no computer method. The one I used, you have to install tutu app to make it work. 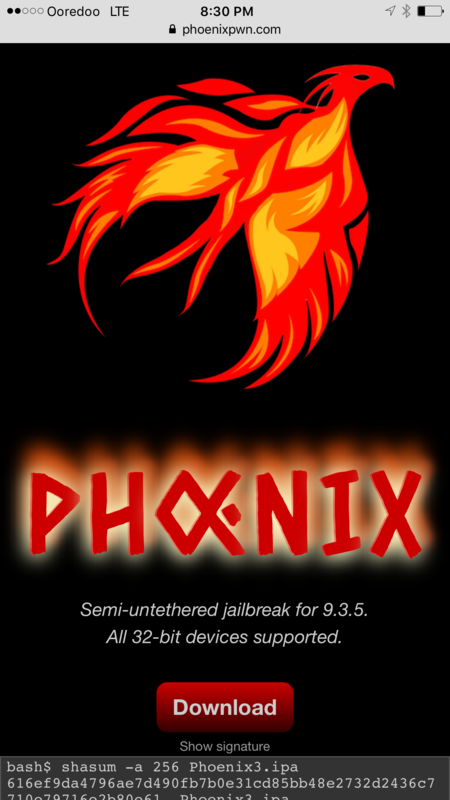 I have reinstalled Tutu & spotify they work ok for now but I have’nt done Phoenix yet.